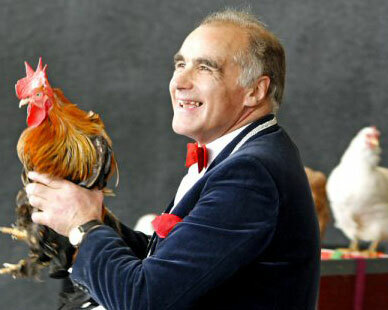 This show will keep you mesmerised from start to finish with big colourful props and producing birds including ducks, chickens, cockerels and believe it or not, a stunning eagle owl from nowhere. This show has traveled all over the country and has appeared for all major holiday company's and supported many stars including Ken Dodd and Freddie Starr. You won’t have seen anything like this before! 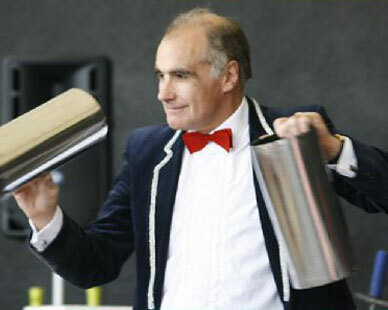 Please use the contact form or telephone Paul with your enquiries for Cabaret Magic Shows. 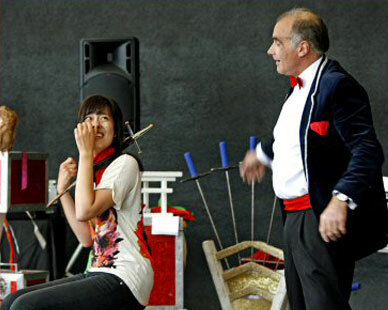 We have employed Paul to entertain the children and adults at our holiday park for several years. 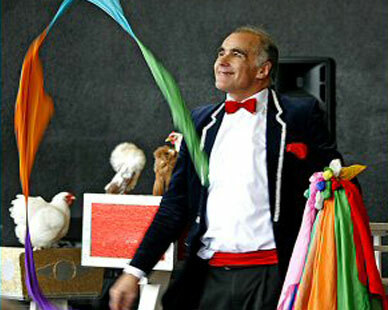 Known to our customers as "Paul Derek The Bird Man" He has thrilled children and adults alike with his wonderful brand of magic and spectacular production of beautiful birds from seemingly impossibly small boxes, leaving the audience totally spellbound. 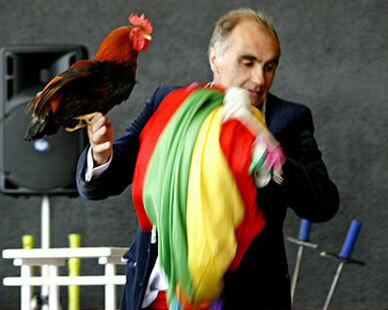 His act always creates both amazement and hilarity as his feathered friends roam freely once they are introduced to the audience, Paul also allows the children to meet the birds and rabbits in person after his show, Just one of the many highlights of an extremely entertaining family show.